In the small northwestern Wisconsin town of Shell Lake, a two-hour drive from Room & Board’s offices in Minneapolis and about a mile down from the giant fish statue that notes you’re in walleye country, you’ll find Shell Lake Woodcrafters, a Room & Board partner since 1992. “There’s something special about our shared Midwestern roots,” says Dan Ringwelski, co-owner of Shell Lake. Shell Lake makes Room & Board’s longstanding Linear cabinet collection. The Linear line began as showroom fixtures. Twenty-two years later, Linear offers more than 1,000 unique combinations between stock and custom options. Over the years, our Delano storage, Fisher kitchen islands and Graham media consoles and accent tables have been added to Shell Lake’s roster of Room & Board collections. Each started as sketches in the Room & Board offices. That personal touch starts as soon as someone places an order. 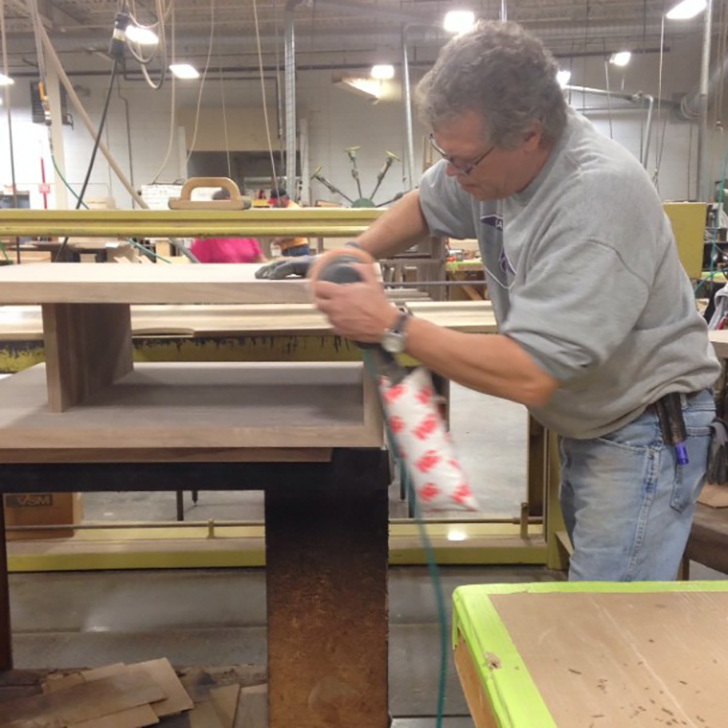 We review each and every custom Linear cabinet order before production to ensure all the details line up. 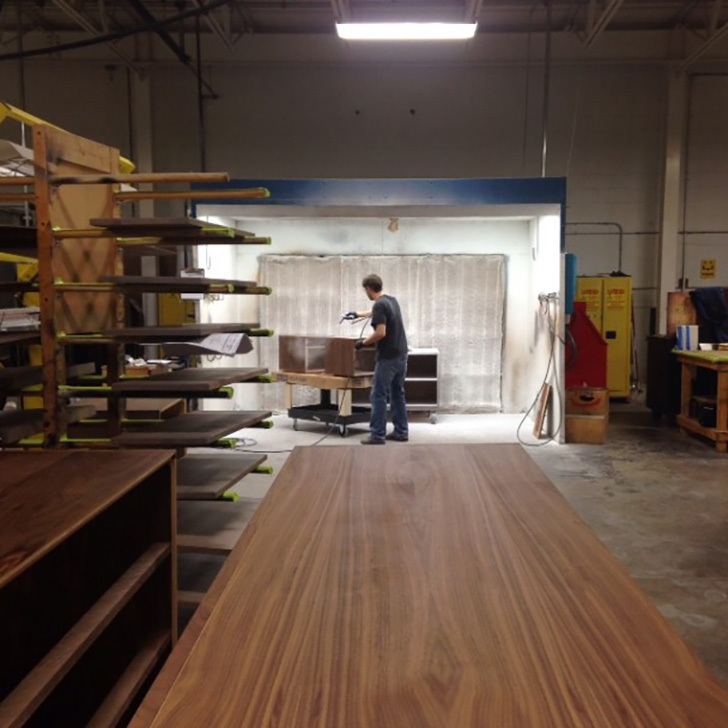 The paperwork for each order – whether stocked or custom – we then assign to its own cart which will travel the production floor from one stage to the next – from the mill room to assembly, to sanding, finishing and inspection. They hand select lumber from Wisconsin and Iowa, with special attention to color and grain and then cut one board at a time. 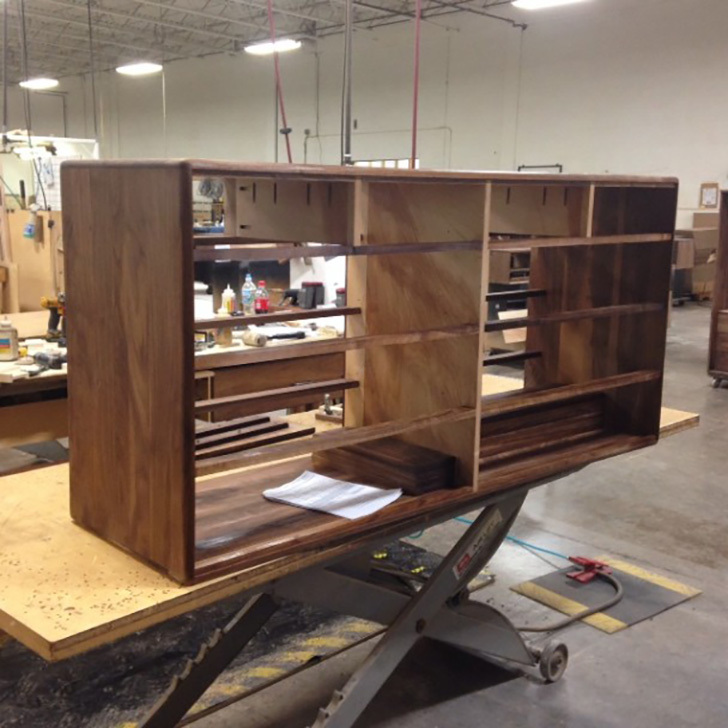 Within a week on average, another finished batch of heirloom quality cabinets will make its way out of Shell Lake en route to Room & Board’s Minnesota distribution center. 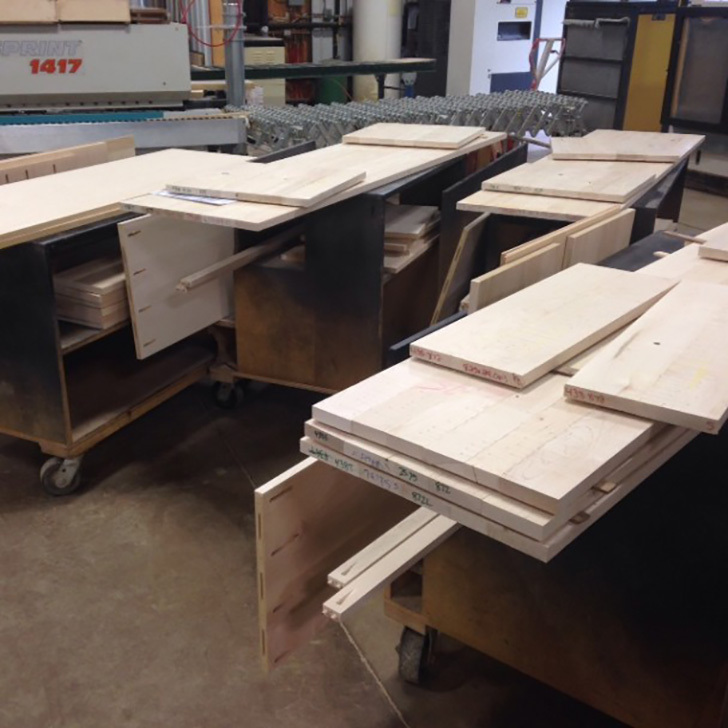 Before long, each of those cabinets or tables will be in one of our customer’s homes. And that’s when the real story begins. Written by Jennifer Moore and photographed by Zach Herbst, Design Associates on Room & Board’s Shop From Home team.